We have improved the algorithms calculating sea ice concentration and extent. Consequently, on June 28, 2016, we updated the graphs of ice extent with new data of higher quality. In particular, calculation of ice concentration in coastal zones have been improved, but also calculation of ice concentration in the Arctic ocean is improved with this new setup. 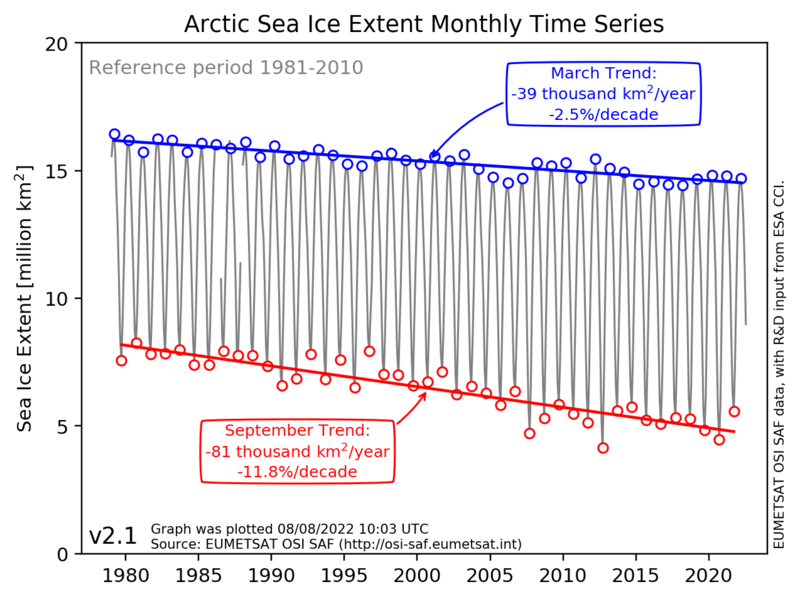 The sea ice extent data from 1979 till today is composed by a Climate Data Record (CDR, OSI-409a), an Interim CDR providing updates with one month delay to the CDR (ICDR, OSI-430) and an operational setup that calculates sea ice extent for the period between the ICDR and today. Further, the algorithms behing these three products are now more consistent than the previous processing chain. This switch to new algorithms has led to small changes in the trends of sea ice extent since the first year of the data set, but it has not changed the general picture of ice extent decline. You can read technical and validation reports of the products here. Mean September sea ice extent in millions of km2 for the northern hemisphere since 1978. This is a comparable measure to annual minimum sea ice extent. 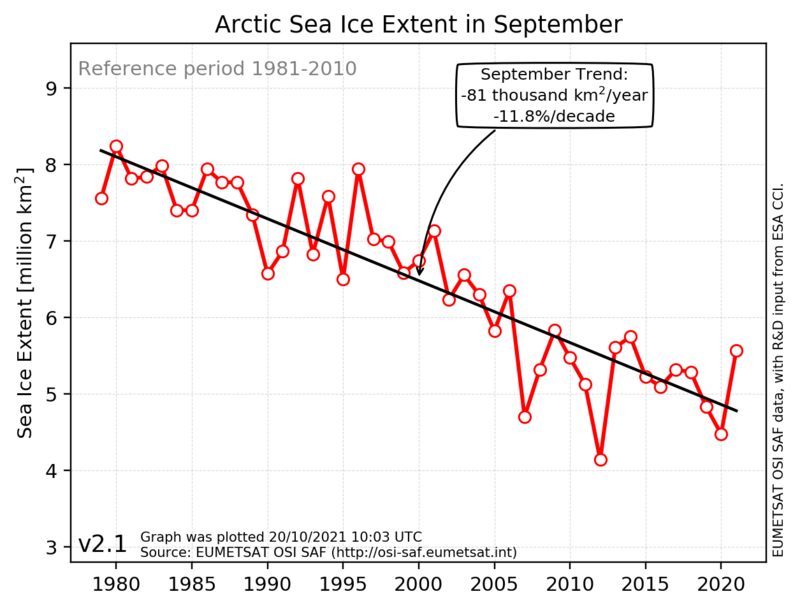 The black line indicate the decreasing trend in September ice extent.